The gods of the North tremble! The Great Old Ones stir in their sleep! 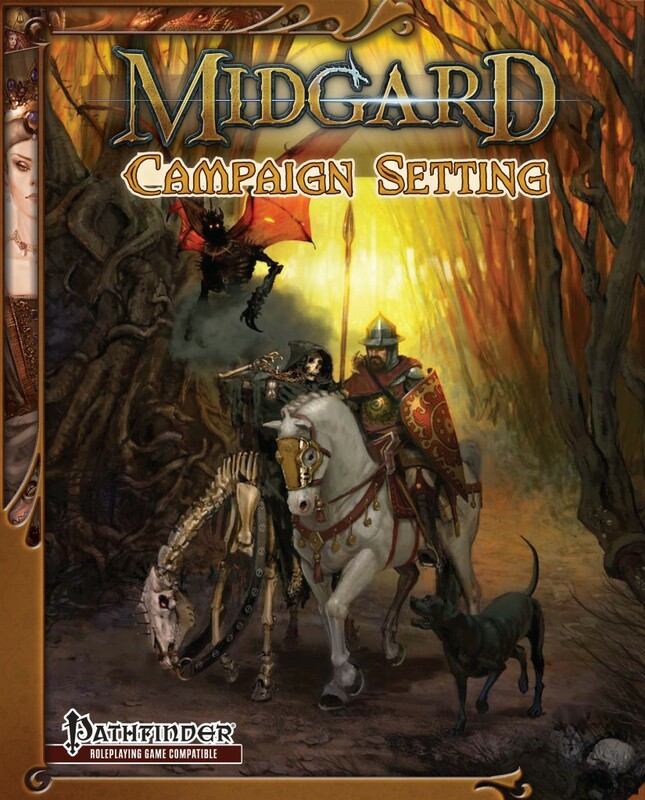 All of Midgard looks to the skies in wonder, for the long-awaited Midgard Campaign Setting is now available for pre-order in the Kobold Store . By popular demand you can ensure that you’ll receive the gorgeous, full color 296-page hardcover or softcover (plus PDF) when it arrives this October. 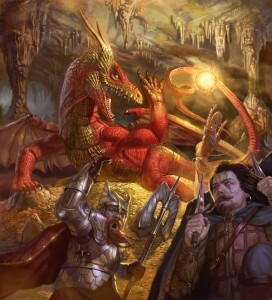 We’re also making a special offer on the Kobold Quarterly Facebook page through August 10: if you Like the page you’ll get a discount code for $5.00 off any purchase of the Midgard Campaign Setting, Midgard Bestiary or Zobeck Gazetteer. 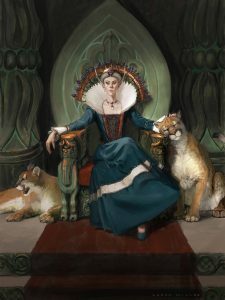 The Midgard Campaign Setting brings to life a dark world of deep magic, with seven regions flavored by the folklore of Central and Eastern Europe plus a heady dose of weird fantasy. Lead designers Wolfgang Baur, Jeff Grubb and Brandon Hodge led the Open Design community in a two-year project to build a sprawling setting supported by adventures and sourcebooks compatible with Pathfinder Roleplaying Game, Dungeons & Dragons, AGE System and more. Midgard is ley line magic and warped alchemical experiments; the Western Waste’s giant, shambling horrors and magic-blasted landscapes; diabolical gnomes and the schemes of immortal Baba Yaga; wild, wind-riding elves and swashbuckling minotaur corsairs; the Mharoti Empire’s lethal assassins and exotic splendors; and the dragon-haunted crags of the icy Northlands. Does the preorder come with a pdf? Yes! When the book ships, you’ll get a PDF along with the print copy. Question two: what if we already like Kobold Quarterly on Facebook? You can also get there by clicking on the “Midgard Madness Offer” icon just to the right of Photos -> Likes, on the top bar below the cover image. Also, if you have any shipping questions with this order you can ask me about them — subscriptions at koboldquarterly dot com. The hardcovers (super beautiful!) will be lovingly packed in boxes by minions to protect them. The US is pretty standard with the medium priority mail box. Overseas is a little trickier to estimate, though I’ve tried my best. I love the cover. It will be very hard to wait until October for this.